Zen is used to purchase premium items or to unlock in-game features for more gameplay experience. Zen is very limited and will take some time to get some free Zen, so use them wisely! - Clearing all 6 Difficulties will net you 210 Zen for the week, more if you can complete the newly added stage, difficult but you'll be able to get higher Zen rewards. - Monster Wave Zen rewards will reset after the season ends (1 week), then you can farm again. - This method will only focus on Zen farming, so forget Gold and Soul Stones for now. - The idea here is to use multiple characters and use the 3 [Daily Entrance] tickets to clear all "UNCLEARED" difficulty levels that you can. - Note that you need to spend 100 Zen to unlock a new character slot. - First, let your Main Character, clear all or just the top 3 Monster Wave Levels. - Next, wait for the server reset to get another 3 [Daily Entrance] tickets. - Switch to your other character and clear the top 3 Monster Wave Levels. - and so on until the season ends. - So, if for example you have 7 Lvl 35 or 40 characters and each of them will clear Monster Wave Levels 4, 5 and 6 (which will net 150 Zen), then you can get up to 1050 ZEN per week! - Update: GAMEVIL has patched this trick, so it's no longer working. ZEN can still be farmed but only via first time clear (per account now, not per character hehe). - From Daily, Weekly and Event Missions: Varies depending on the current offers. - Achievements: The "Reach Character Level" and "Defeat Raid Boss" rewards. - Note that rewards varies depending on the current event. - "First Time Play" will net you 40 Zen (if still available though). - Random reward from "Friend Point Rewards" (3 or 5 Zen). 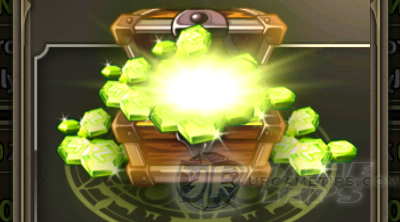 - Random reward from "Arena Victory Rewards" (1 or 3 Zen). 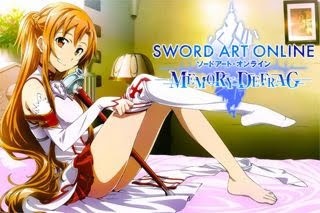 - If you want to play other characters under same account. - Can only be purchased with ZEN from the Shop. - Earn and buy the best Avatar for your character, then purchase the others to increase the stats of your character class, even if they are not equipped. - *If you own more than one of the same avatar, the stats will be applied only once. - Note that more Avatars will come out as the game goes, so continue earning. 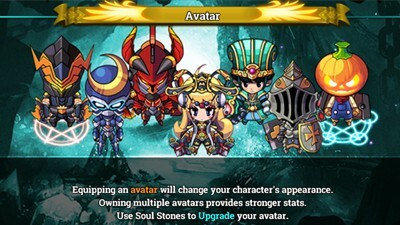 - You can now upgrade your avatars using your excess Soul Stones. Upgrade them all to get more bonuses! - Just earn some ZEN for this, just in-case you want to reset your stat or skill build later, rather than starting from scratch again. - If you just need some few V Pts to reach the 300 V Pts reward (S Accessory Coupon), then it's ok to spend some ZEN for it. - Use Instant Update too if you want to refresh your current Arena opponents. - Use your ZEN to revive in the boss map and continue playing with full HP and MP, this is ok especially when the boss is about to die. - If you are one of the high level players who wants to farm more top Arena (A or S Fairy Coupon) rewards, then go for it too! - You can also buy 40 Battle Stamina for 50 ZEN, or 30 ZEN for 50,000 Gold if you want. - Other ZEN purchases from the SHOP and Exchange Shop are also optional.